Example of separation where the highlight white is damaged and is covering just about everything. 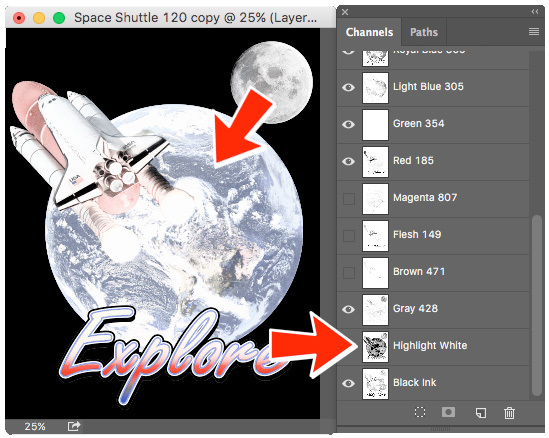 When running separations with UltraSeps using Photoshop CC 2015 and possibly future versions yet to be released, some of the white underbase and highlight white channels may not render correctly. This is a bug with CC 2015 and may also be an issue with versions going forward. I’ll also be placing a video here shortly which not only discusses how to use but also provides an example of the issue itself before and after the simple fix. 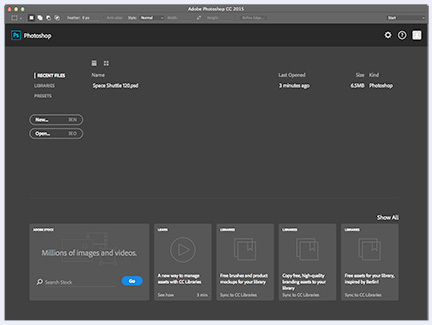 The new Start Workspace screen of Photoshop CC 2015.
of 12/15/2015 has been installed. This somewhat annoying feature can be turned off through the Preferences settings if desired.